Dr. Carey studies biochemical mechanisms of gene activation and silencing. In 1990, Dr. Carey established biochemical systems for studying gene regulation based on a model transcriptional activator termed GAL4-VP16. Using that system, Dr. Carey established a mechanism by which genes are controlled synergistically by upstream activators. Synergy is a key principle in gene regulation and underlies the combinatorial control of gene transcription. Throughout the 1990s, Dr. Carey’s lab showed that synergy is first manifested during assembly of transcription preinitiation complexes (PICs). His lab identified assembly of a co-activator complex, termed DAMed, as the key step influenced by activators. More recently, Dr. Carey has been studying the biochemistry of transcription on chromatin templates after a one year sabbatical at the Stowers Institute for Medical Research in 2006. Dr. Carey’s lab has shown how a protein termed p300 coordinates chromatin modification with assembly of the DAMed complex and then the PIC. His lab has also shown how a protein termed HP1 silences transcription by selectively affecting key components of the DAMed complex. Dr. Carey’s recent work has focused on recreating the effects of histone methylation on gene activation and silencing in vitro. Dr. Carey served as Director of the Jonsson Comprehensive Cancer Center Gene Regulation Program from 1999-2005 and 20011-present. Dr. Carey started the Cold Spring Harbor Eukaryotic Gene Expression Course with his UCLA colleague, Dr. Steven Smale, and served as course director in 1997. Drs. 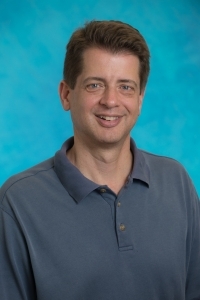 Carey and Smale wrote a 650-page textbook titled “Transcriptional Regulation in Eukaryotes; Concepts, Strategies and Techniques.” The first edition was published by CSHL Press in 2000 and the second edition was published in 2009. Dr. Carey is a scientific cofounder of Agensys, a biotechnology company focused on prostate cancer therapy. 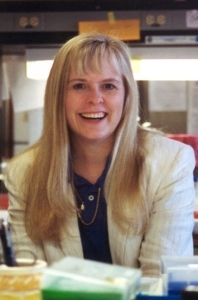 In 2000, during a leave of absence from UCLA, Dr. Carey served as Director of Biology at Genesoft, a company focused on cancer therapeutics targeting transcription factor binding sites in the genome. From 2006-2010, Dr. Carey was Chief Scientific Advisor for OncoTx, a biotech company focused on using transcription factors as therapeutic targets in melanoma and other cancers. 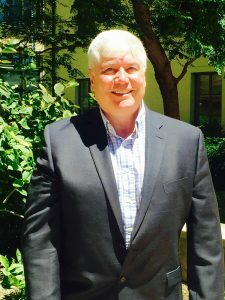 Dr. Carey is on numerous committees at UCLA that oversee undergraduate and graduate research education. 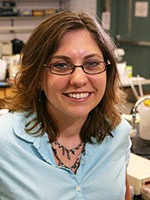 Tracy Johnson is the Maria Rowena Ross Chair of Cell Biology and Biochemistry. 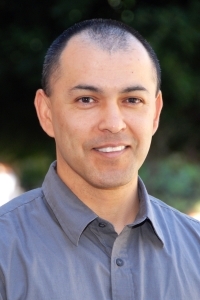 Dr. Johnson moved from UC San Diego to UCLA in 2013 to join the faculty in Molecular, Cell, and Developmental Biology. She earned her B.A. in Biochemistry and Cell Biology from UCSD, her Ph.D. in Biochemistry and Molecular Biology from UC Berkeley, and was a Jane Coffin Childs postdoctoral fellow at the California Institute of Technology (Caltech) where she studied the mechanisms of RNA splicing with John Abelson. Dr. Johnsons research is focused on the mechanisms of eukaryotic RNA processing, particularly pre-messenger RNA splicing. Her lab has most recently been interested in the coordination of these reactions with RNA synthesis and chromatin modification. Dr. Johnson is the recipient of the Presidential Early Career Award for Scientists and Engineers (PECASE) and serves on a number of scientific boards and federal Grant Review panels. In 2013, she received the UCSD Chancellors Associates Award for Excellence in Undergraduate Teaching and in 2013 was selected as one of the Top 20 Women Professors in California. In 2014, Dr. Johnson was named a Howard Hughes Medical Institute Professor. As one of 15 leading scientist-educators, the distinction recognizes leadership in research and education, and provides $1 million over five years to create innovative activities that integrate research with undergraduate education. 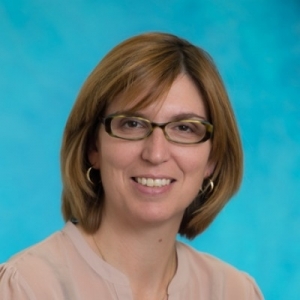 Erin Sanders is an accomplished leader in the development and assessment of innovative strategies for undergraduate STEM education both in the classroom and laboratory. Dr. Sanders earned her B.S. in Chemistry from DePaul University in Chicago, IL in 1998 and her Ph.D. in Biological Chemistry from UCLA in 2005. Her research interests and experience span a variety of life sciences disciplines including molecular systematics of plastid genes in green algae, mechansims of site-specific DNA recombination in bacteria, and composition studies of bio-energy relevant microbial communities. As an Adjunct Associate Professor in UCLA’s Department of Microbiology, Immunology, and Molecular Genetics, Dr. Sanders pioneered the development of an innovative laboratory curriculum for MIMG undergraduates incorporating course-based undergraduate research experiences (CUREs). Dr. Sanders is the author of a textbook for one of the CUREs, has published on her assessment-informed curricular reform efforts, and is a recognized scholar in STEM education. 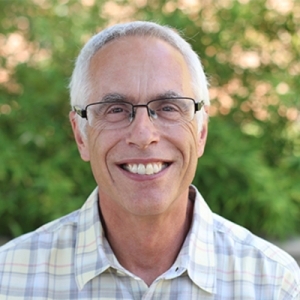 As the founding director of CEILS, Dr. Sanders coordinates activities to meet the needs and interests of participating current and future faculty in departments and interdisciplinary programs responsible for instruction of undergraduate courses in the life and physical sciences. 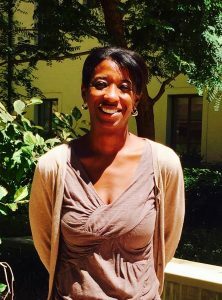 By conferring with CEILS participants, leadership, and cross-campus units, Dr. Sanders helps promote and support education and diversity initiatives that strengthen the teaching community at UCLA. 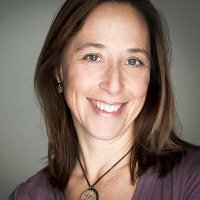 Rachel Kennison is active in the development of courses and initiatives to improve undergraduate STEM education and provides professional development and training to graduate students, post doctorate scholars and faculty in evidence based teaching practices, mentoring and teaching through diversity. Dr. Kennison earned her B.A. from Sarah Lawrence College, M.S. in Clinical Social Work from Columbia University and her Ph.D. in Biology from UCLA in 2008. Her research interests were in the structure and function of southern California estuaries. As Associate Director for Professional Development and Student Engagement in the Center for Education, Innovation and Learning in the Sciences (CEILS), Dr. Kennison serves as the Program Coordinator for the UCLA@CIRTL program (Center for the Integration or Research, Teaching and Learning), facilitating learning communities for graduate students and post doctoral scholars to learn about evidence-based teaching practices and participate in Teaching-as-Research projects en route to obtain their CIRTL certification.